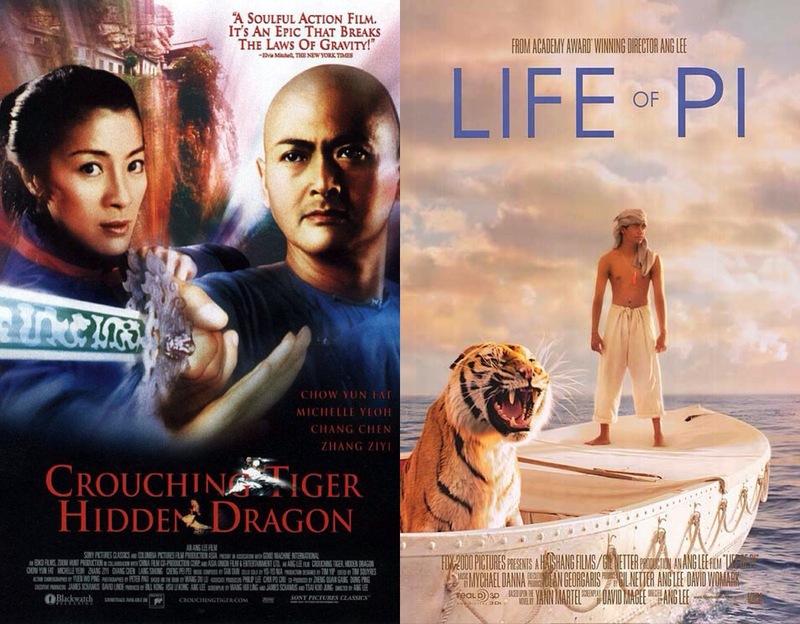 Two major wide release films have eventually worked their way through the inscrutable baffling shuffle of scheduling to land on the Dec 21 solstice date. 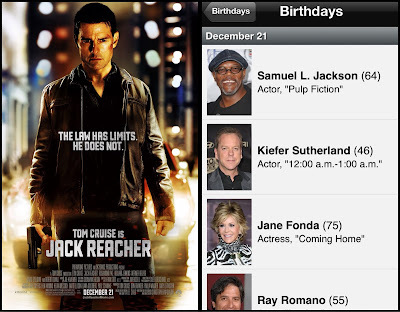 Jack Reacher (which we dealt with in the previous post) and This Is 40. The poster for This Is 40 sees director Judd Apatow's wife, actress Leslie Mann, standing at the sink/sync. Sync is Union becoming aware of Itself. 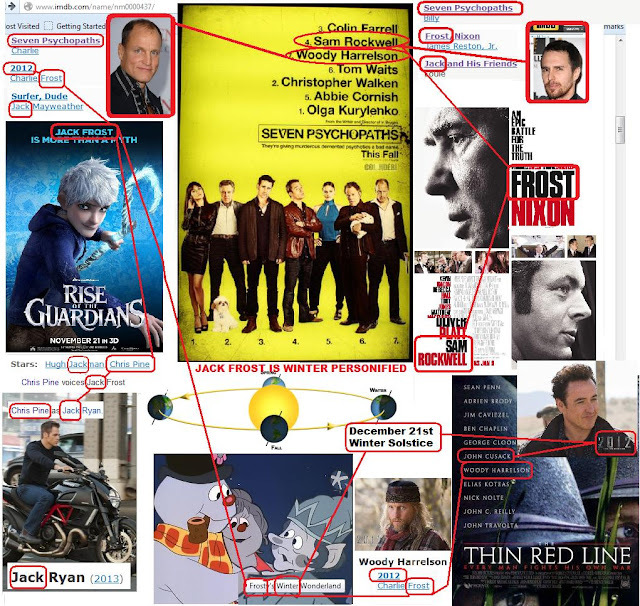 The Dec 21 released This Is 40 and intimately related 2012 poster below are then perfect illustrations of what Dec 21 is, SYNC. In Psyncho me and @sincwinnipeg explore the association between the the action of sinking, the household sink and the concept sync. Above is a scene from The Da Vinci Code starring Tom Hanks where he cuts himself shaving at the sink. 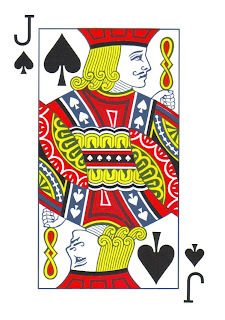 The resulting bloodline, flowing down the sync whole, gives him an "Aha!" moment to solve the puzzle of the location of the Holy Grail. The Holy Grail is Self Realization aka Sync. 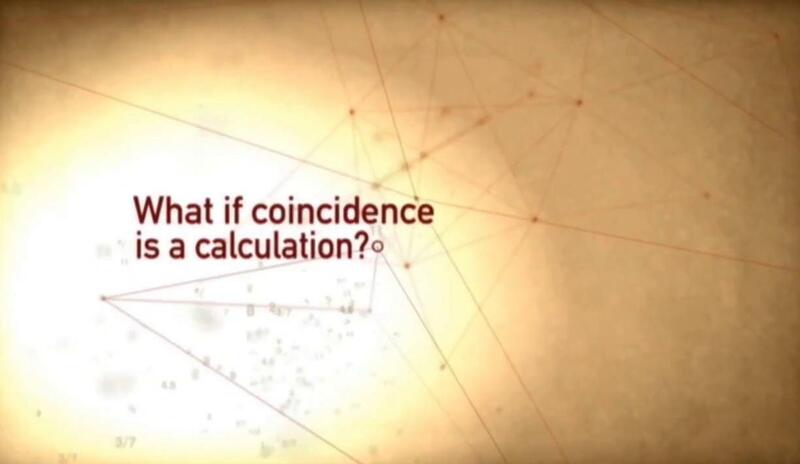 This is in reference to the fact that ISIS (the Great Goddess) is encoded in ThIS IS 40. Isis is the Is that realizes it Is aka Self Realization/Sync. Cool that t.HANKs encodes the ANKH of Isis. The Ankh is the Anchor that Syncs into the depth and grounds us in the mystery of Self. Tim Murphy's "Tom Hanks and the Twin Towers"
Also worth remembering that Tom Hanks has a special relationship with 2001: Space Odyssey (aka "Jupiter and Beyond the Infinite"). 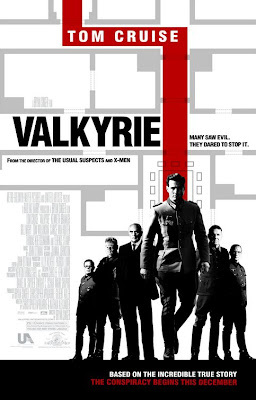 The "roseline" traveling down Tom Hank's sink makes its way onto the Valkyrie poster, highlighting the name and personage of another Tom. This is Tom Cruise aka Jack Reacher. 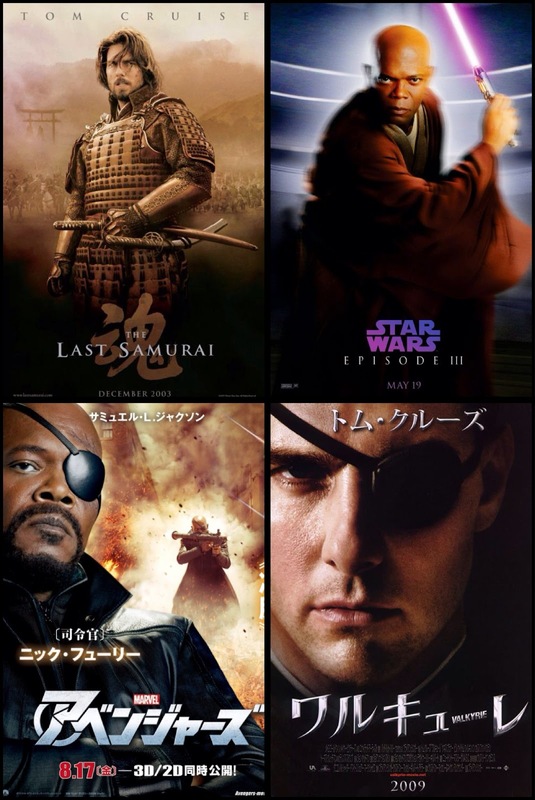 Tom Cruise has one eye in Valkyrie just like Samuel L. Jackson in The Avengers. December 21 sees the release of JACK Reacher on the birthday of Samuel L. JACKson. One eyed (I) Jack. The United or Synced up Self. Also @Seallion pointed out to me on twitter that Rockwell goes after the JACK of Diamonds killer in the new film "Seven Psychopaths". 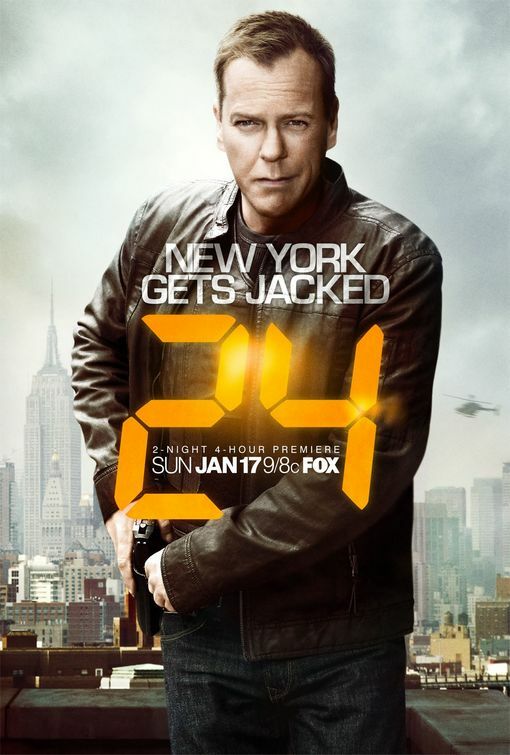 As Jake has pointed out above, the December 21st 2012 date entrains with Jack, Jupiter, and the number 42/Rainbow. 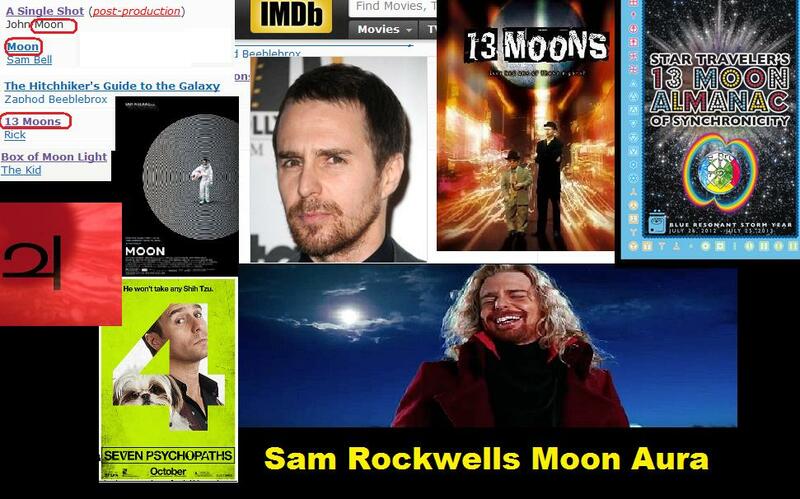 Following Sam Rockwells Jack connects leads us to the fact that he also stars in a film called "13 Moons", which entrains with the focal point of the 12/21/2012 event, the 13 Moons cycles the Calendar is based on, and the 13 Backtun cycle of the Mayan Calendar that ends exactly on 12/21/12. 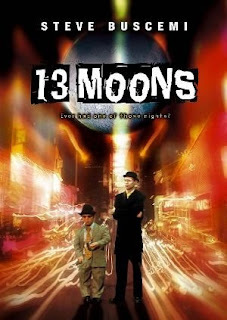 13 Moons is a beautiful movie about people experiencing lifes greatest ups and downs, and most of the time never realizing how interconnected their lives are, and what kind of synchronistic circumstances lead us to right where we are all the time. 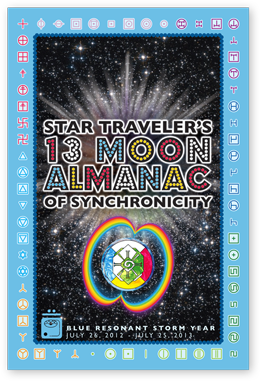 Just like the year 2012 has been approaching and gathering consciousness of interconnectedness, unity, and raised awareness of the power of the universe itself. There are precisely 13 Moons in 364 days, making a perfect year. 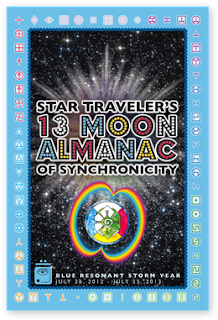 In the advanced Mayan Calendar system, which explores complexities of alignments and vibratory synergies, we are approaching the end date of the 13th Baktun. 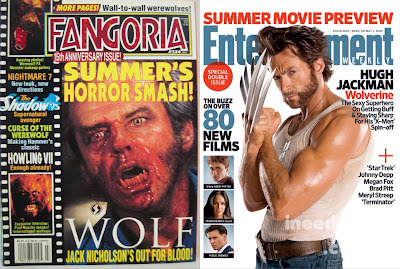 This leads us to the interesting Sync narrative that I have been following in my work since 2008. The Archetype of the Rainbow, and the theme of our consciousness opening up to worlds and life beyond the physical. 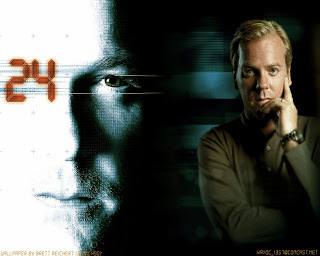 In 2008 I started writing about the number 42 because it was popping out in my daily life and in pop films with increasing frequency. In the year 2009 I began exploring the number 42s relationship to the Rainbow, finding and connecting the many actors and films that vivify our connection to the Eternal mystery. Jose Arguelles may as well be considered the forefather of Western interest in the Mayan Calendar and the 2012 date. 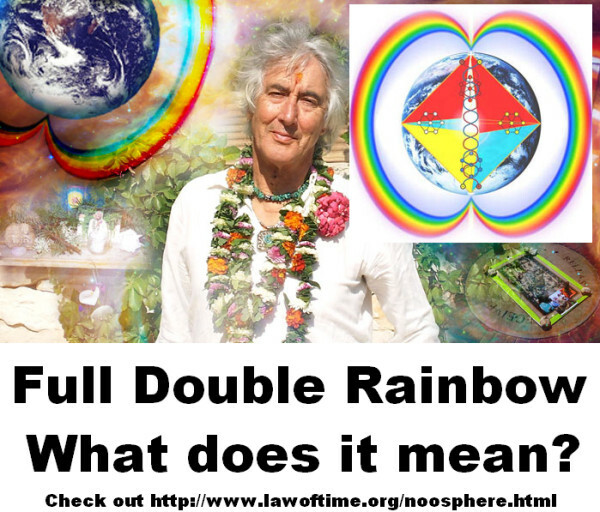 Jose beleived that if humanity could come together in unity, see past the illusion of time, and collectively imagine and create a Rainbow Bridge around the Earth, that Humanity could successfully move into the next stage of evolution beyond time and form. Jose called the creation of this Rainbow Bridge the "Circumpolar Rainbow Bridge". Here we have some beautiful and clear connections showing that the building of the Rainbow Bridge AKA realization of our Spiritual Nature beyond form, is a process that has been underway in human consciousness and is connected to the "End Date" of the Mayan Calendar. 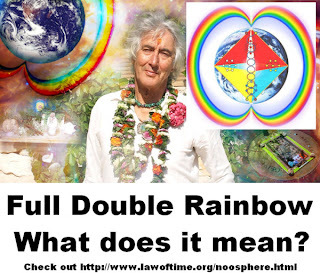 Perfectly entraining 12/21/12 with The Rainbow/42/Jupiter memes we have been exploring here for years. Another interesting connection between the 2012 Rainbow Bridge activation and JACK is Michael JACKson and his Rainbow rich Career. 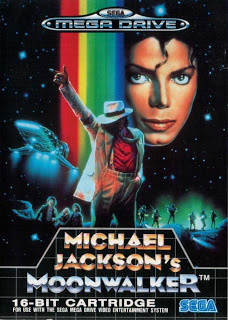 The week before JACKson passed away, I had already been chasing his connection to the Rainbow Bridge between worlds, vivified by his roles in "the Wiz", "Captain Eo", and "Moonwalker", all films featuring JACKson literally wearing a Rainbow in some form or another. 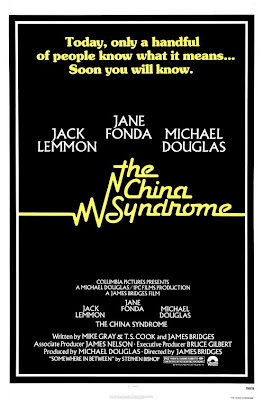 When MJ passed away I was hit with Sync-Shock, feeling as though I somehow may have had psychic pre-cognition of his passing. I went after the first peice of pop media about Jacksons death that next week, and of course South Park delivered a clear Sync confirmation that Jacksons career is the expression of the Rainbow Bridge process underway in consciousness. 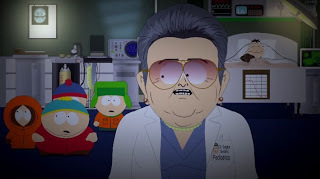 Zelda Rubinstein of Poltergeist(bridge between worlds) and the Skittles (Taste the Rainbow) commercials is hired to help Jacksons soul cross over to the next world as seen above in South Park. Both of these characters careers Rainbow Auras are explored in depth in my video "Film a thin Skin or Membrane". 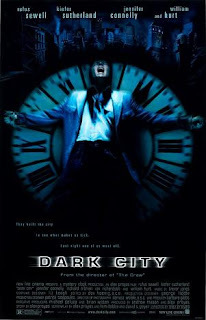 December 21st is also the birthdate of Kiefer Sutherland aka JACK Bauer of 24, who stars in Dark City, whos cover resonates with the number 12, midnight, and our calendric midnight hour of 12/21/12. Jack Bauer/Kiefer Sutherland(keeper of the Southernland/Underworld) stars in the 42 entraining television show "24". He also explores the Spiritual afterlife in the film "Flatliners" and explores similiar reality tunnels in the film "Dark City". 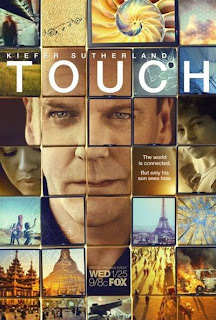 On top of all of this he is the Star of a brand new Television show called TOUCH that is all about Sync! 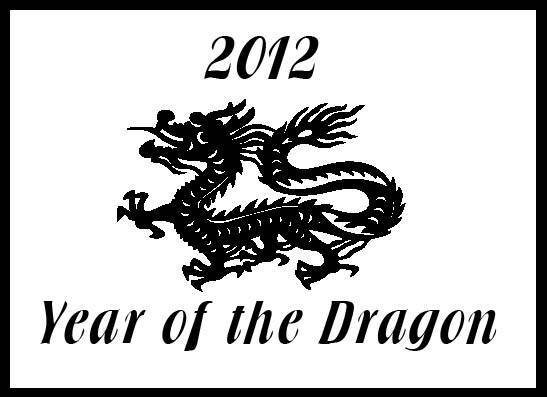 2012 is the Year of the Rainbow Bridge activation, and the Year of the Dragon. We are at a time that in cultures throughout the world denotes the movement out of an old Age and into a New one. This year is the Climax of the great Cinematic narrative of history and human consciousness. 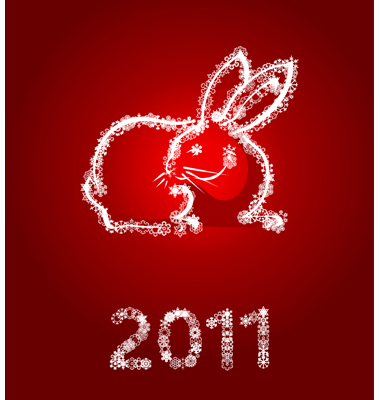 2011 was the Year of the Rabbit. Just like in Alice in Wonderland we follow the White Rabbit into Wonderland, where before we complete our Journey must meet with the Dragon/Jabberwocky aka the Shadow. 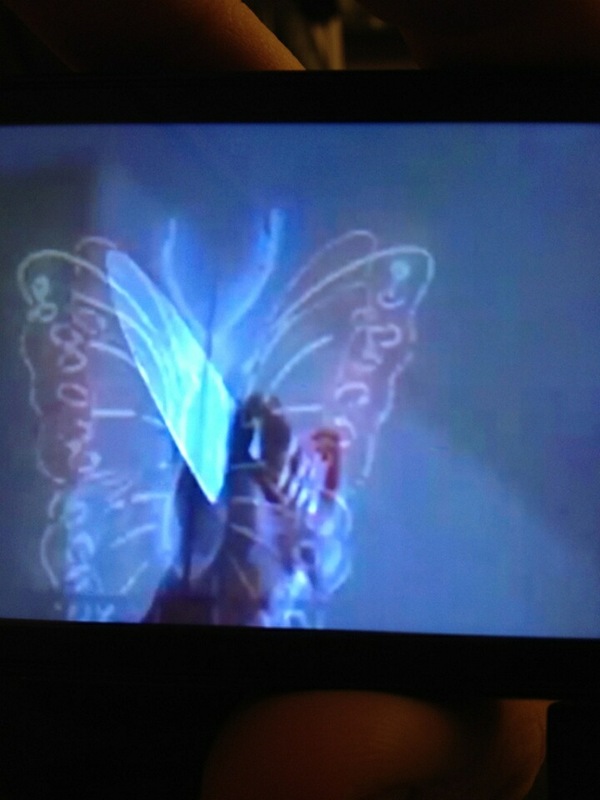 Sutherland follows the White Rabbit in the film "After Alice" and Slays the Jabberwocky aka Dragon. Just like we must followed the 2011 White Rabbit into 2012 Wonderland and now will face our fears of the "End Times" as we slay the Jabberwocky Dragon on Kiefers Birthday 12/21/12. 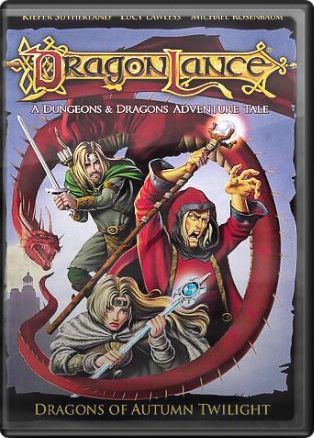 Kiefer also slays dragons in the animated movie Dragonlance. Kiefer stars as the father of a gifted child in the new TV show called TOUCH. 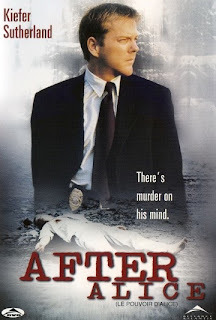 In this show Kiefer comes to find out his son is something of a Melchizidek, a Spirit born on Earth to heal the wounds of seperation between people. By finding subtle synchronistic connections between numbers, events, and people, Kiefers son JAKE is able to help heal the world and teach others interconnectedness with the help of his dad, JACK Bauer of 24/42. 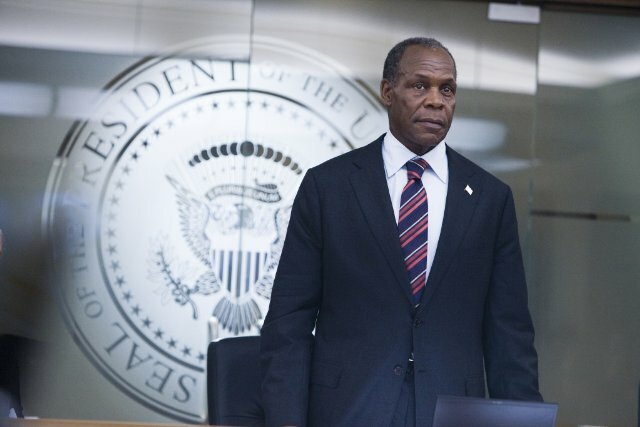 In the television show we learn that a Character played by Danny Glover has been working with these gifted children over the years, and trying to keep them from being manipulated by those in power. 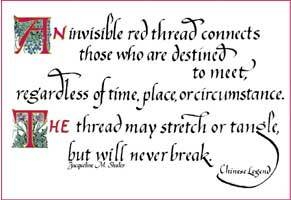 Glover explains SYNC to Sutherland through a Chinese fable known as the Legend of the Red Thread that interconnects all people and events throughout time. 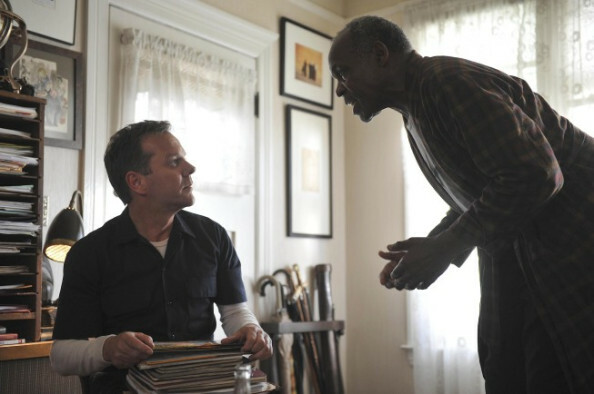 Glover teaching Sutherland about the Red Thread of Sync in Touch. 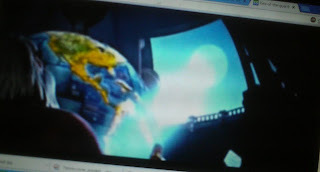 Glover is also President of the United States in the movie 2012, which takes place on the Mayan Calendar end date, Sutherlands birthday, 12/21/12. Glover the Red Thread Touch Synchromystic, President of the Red Taped Apocalyptic America in 2012. Awsome. 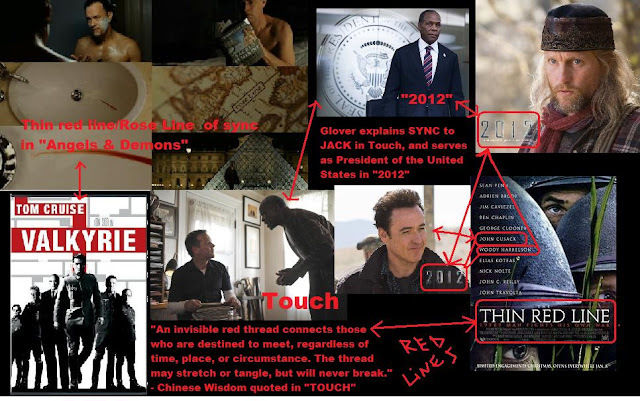 Check out this beautiful string of connections between the RED LINE of Touch/Jack/24/42, the Movie 2012, and the movie THIN RED LINE. Wow! Frost re-enters the Sync Stream here. Frost is Winter Personified, thus a pointer toward the 12/21 date. Woody Harrelson plays Charlie Frost in the film 2012, which connects through the Red Thread to the film "the Thin Red Line" which also features Harrelsons 2012 co-star John Cusack. 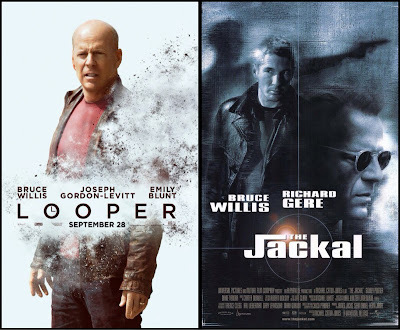 Other wacky Jack sync is explored in this little diagram. Tonights Colbert Report featured Colbert and Dolly Parton singing a song called "Your love is like a Butterfly". 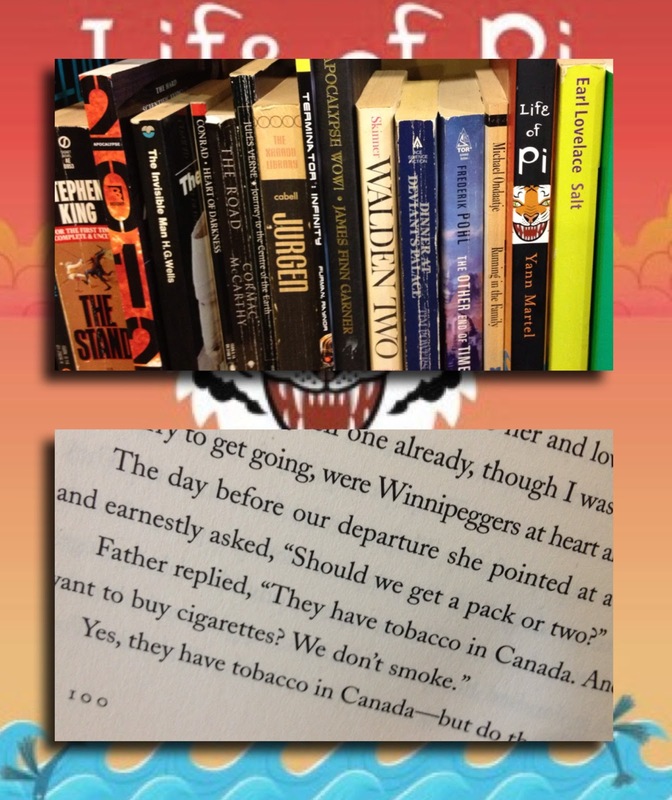 I explored the Butterflies connection to Sink in the recent post Psyncho. 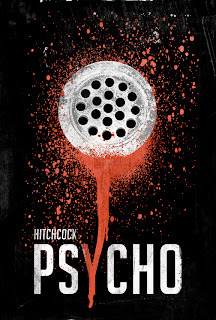 When mixing Psyncho @Syncwinnipeg or Jim unintentionally faded the classic image of the Psycho Knife and the appearance of a Neon Butterfly not yet knowing this connection. We are approaching the last full Moon of 2012 and the completion of the 13 Moon Cycle oriented Mayan Calendars 13th Baktun round, and the completion of the Rainbow Bridge prophecy. 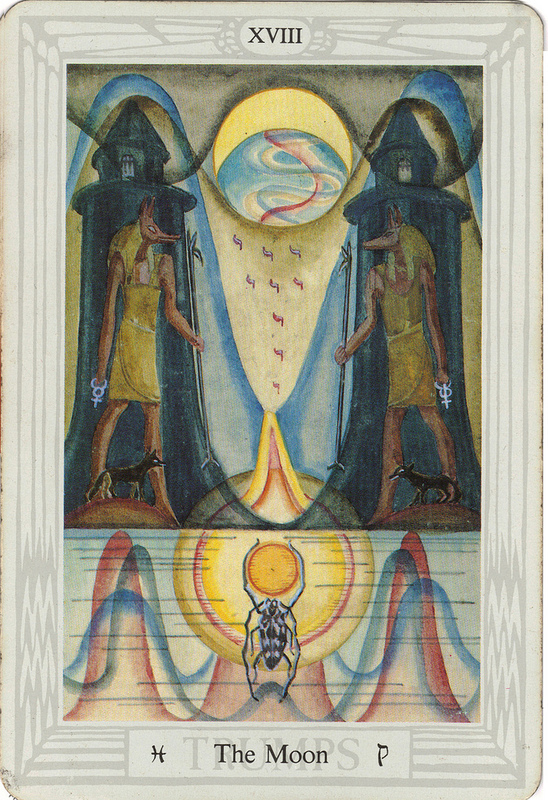 When we have a look at the Moons Tarot Trump, we can notice that there are 9 Drops of Blood that are symbolic to the Moons connections with the tides of the human body such as the Female gestation period. We could even call the Menstrual Blood the Red Sea. The Period is the END. 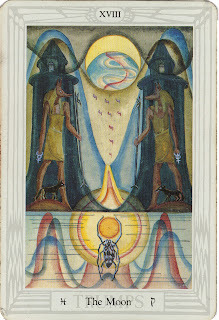 This is an interesting connection because this tarot trump features the Waters of the underworld/unconscious which the Moon is the ruler of, and is given the Astrological Water sign of Pisces or Pi Seas. 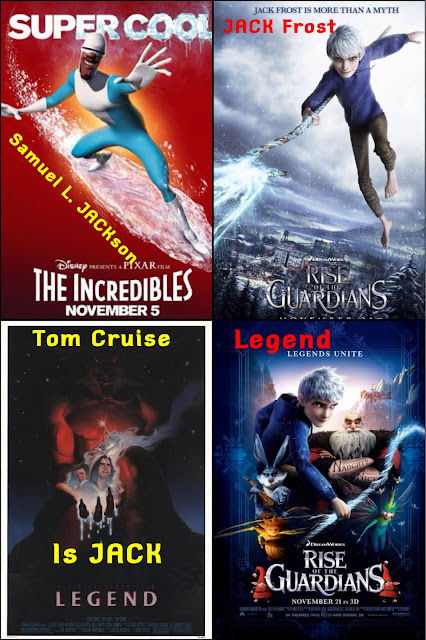 Also in theaters this Lunar Phase is "Rise of the Guardians" who's main character Jack Frost, who saves the world from fear and darkness by defeating the evil spirit Pitch Black. Jack Frost and overcoming of the darkness/shadow points to the 12/21 Mayan Lunar Calendar date. 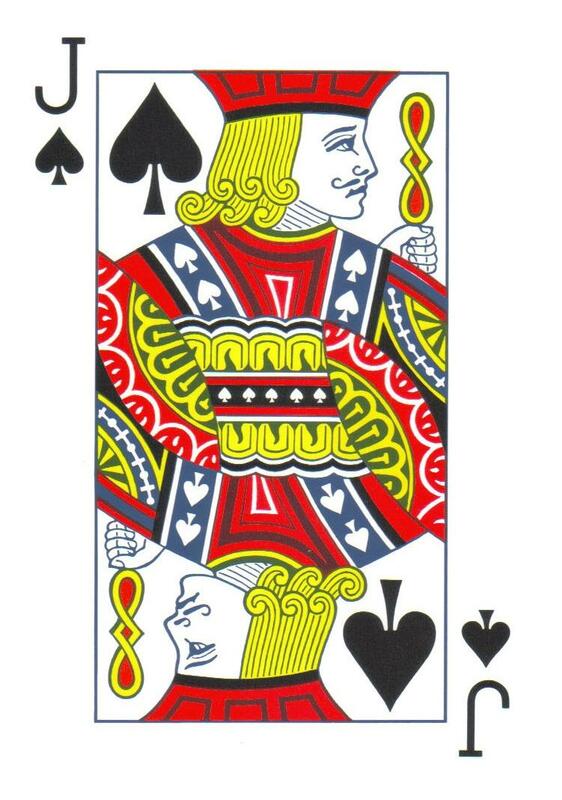 When the Sun rises and begins its northward movement on the 3rd Day Jack will have defeated Pitch Black. In the beginning of the film Jack Frost gets his name from the Moon, and later travels via a Spectral Rainbow Bridge to meet the Guardians who communicate with the voice of the Moon through a Crystal. 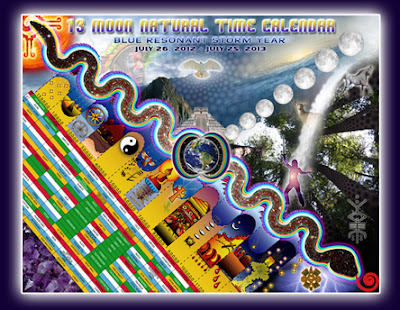 The Mayan Calendar also listens to the Moon, very cool stuff. "Rise of the Guardians tells the story of a group of heroes -- each with extraordinary abilities. When an evil spirit, known as Pitch, lays down the gauntlet to take over the world, the immortal Guardians must join forces for the first time to protect the hopes, beliefs and imagination of children all over the world." I caught a cool Psycho poster design contest Winner that resonates the Moons connection to the Psycho/Lunatic/Psyche/Butterfly. 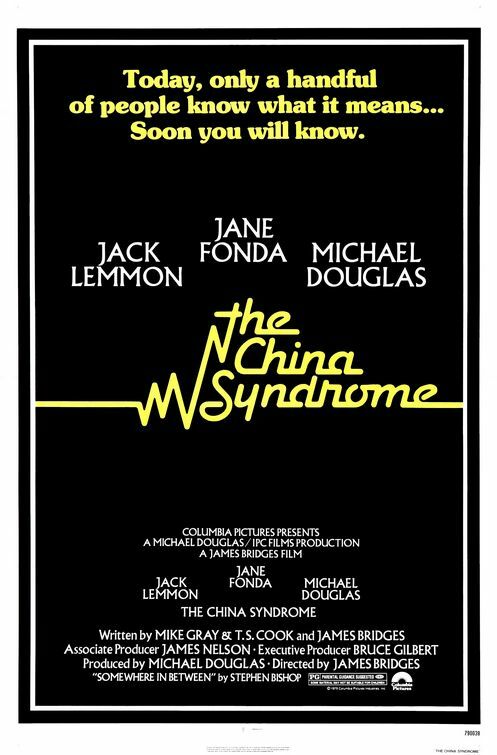 This Poster is a Sink-Hole in one. I can even perceive it as a Moon surrounded by Stars. The Silver Lining. Silver is the Color and Metal given to the Moon by the Western Esoteric Tradition. 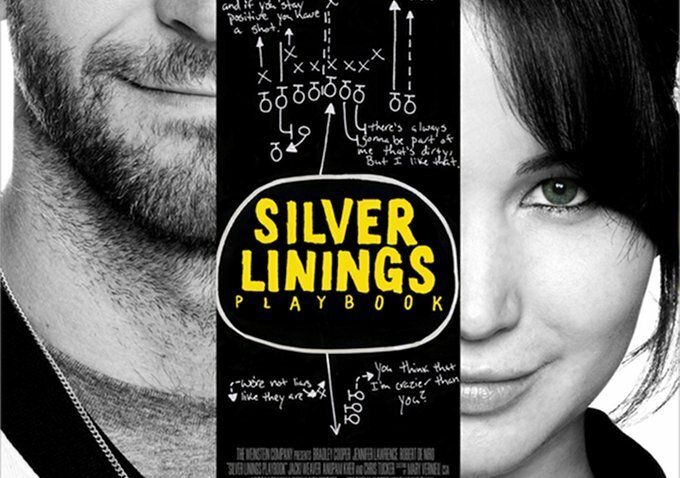 The Mayan Calendar and its 13-Moon centric timekeeping is the Silver Lining Playbook. Have no fear the Rainbow Serpent is here. We have the Silver Lining Playbook and the path is clear. "When the earth is ravaged and the animals are dying, a new tribe of people shall come unto the earth from many colors, classes, creeds, and who by their actions and deeds shall make the earth green again. 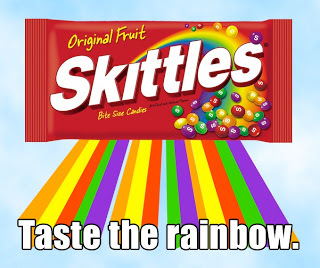 They will be known as the Warriors of the Rainbow"